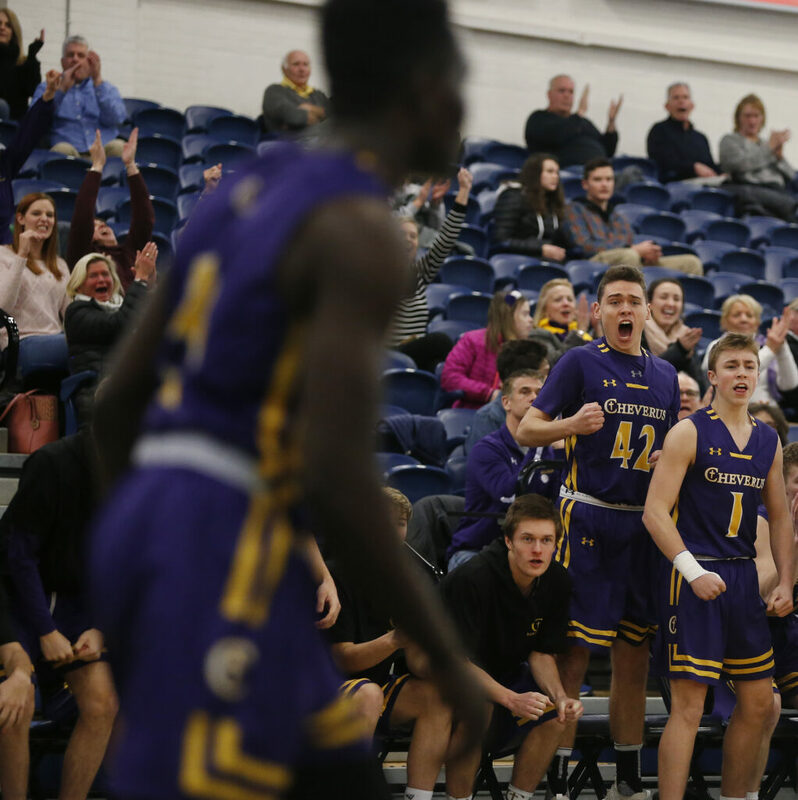 The Stags overcome a 16-point deficit and beat the Bulldogs for the first time in four years. 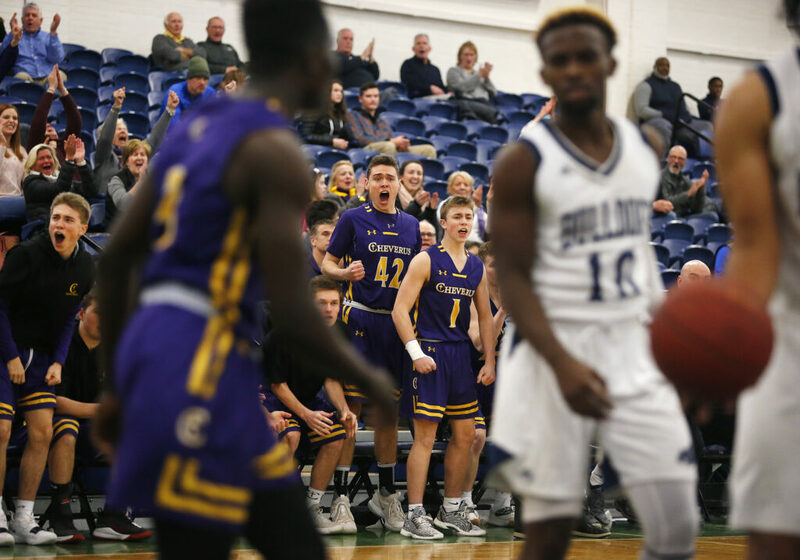 Cheverus seniors had never beaten rival Portland, but Thursday evening at the Portland Expo, the Stags ended their frustration in dramatic fashion. 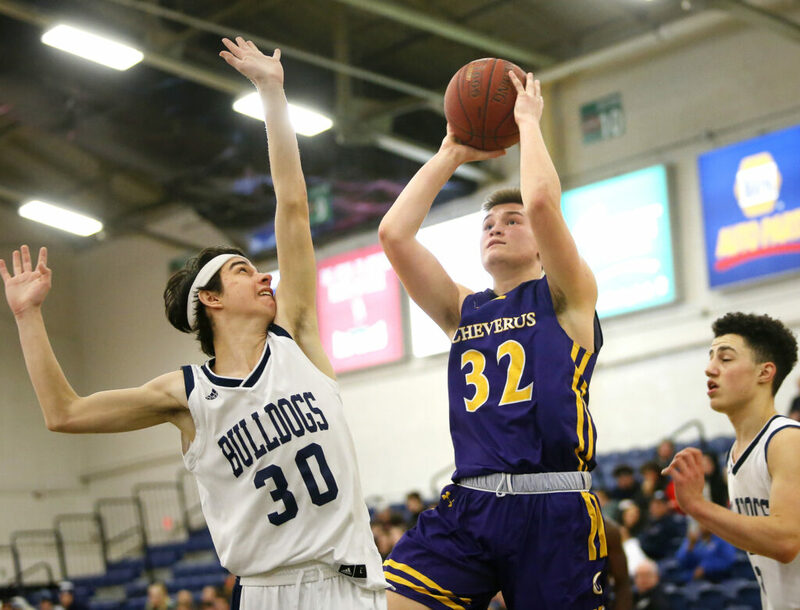 Cheverus twice trailed by 16 points in the third quarter but closed the game on a 30-11 run to earn a 53-50 victory in a Class AA North boys’ basketball game. 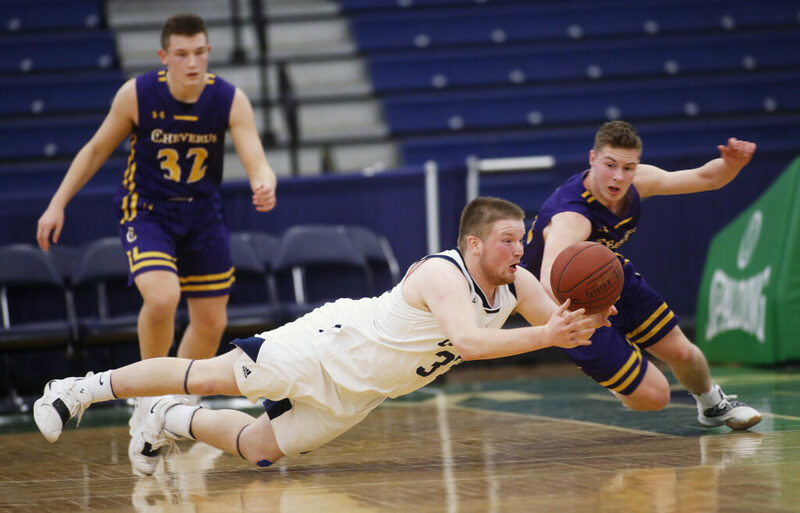 The Stags went ahead to stay on two free throws from Owen Burke with 1:05 remaining. They beat Portland for the first time in four years and improved to 9-7. Both teams started sluggishly, but Portland, behind five points from Jeremiah Alado, took a 9-7 lead after one quarter. 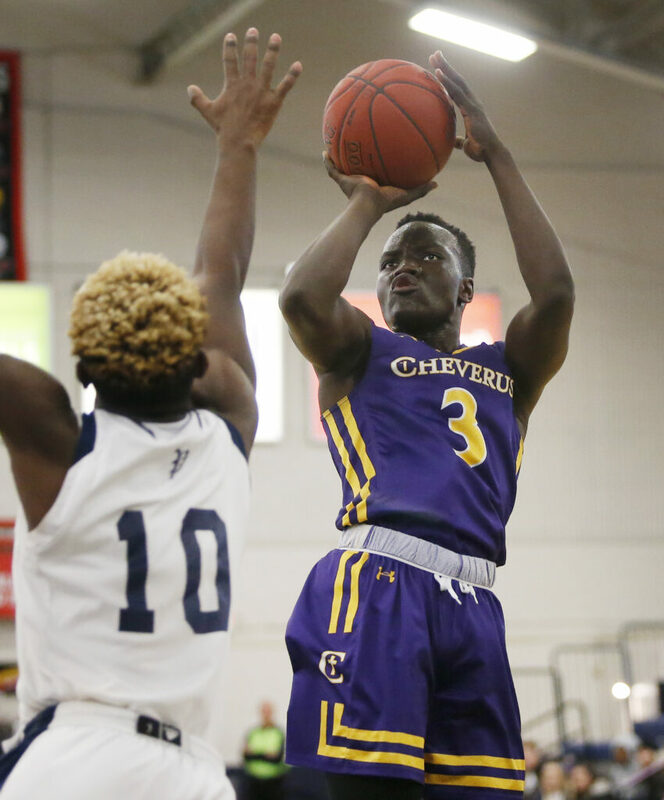 Cheverus then capped a 10-0 run with two free throws from Nick Galli and a 3-pointer from Akera Oryem to go up by five, but a leaner from Trey Ballew snapped a nearly five-minute scoring drought and sparked a 16-0 surge for Portland. Oryem made another 3 to pull the Stags within 25-17 at halftime, but Portland kept the pressure on in the third quarter. 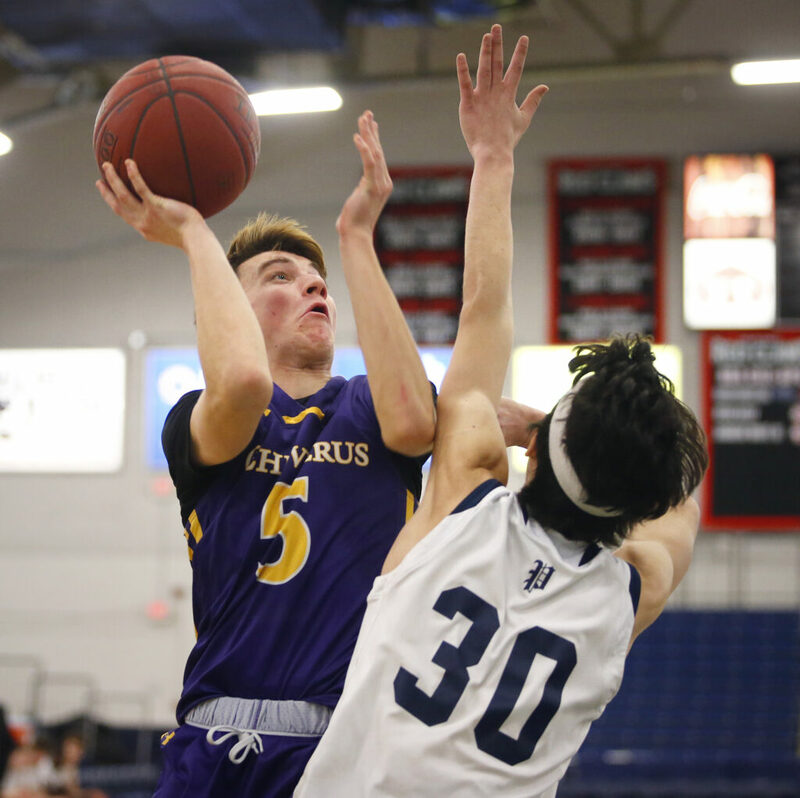 Cheverus appeared to be in serious trouble when a layup by Pedro Fonseca increased Portland’s lead to 39-23. 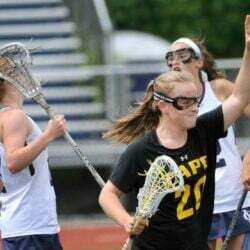 Galli then helped the Stags cut the deficit to 42-32 heading into the fourth quarter. He banked home a leaner to make it 43-37, but Simon Chadbourne countered with a 3-pointer. After the Stags pulled within 46-43 on two Oryem foul shots with 3:14 to play, Fonseca drove for a layup. 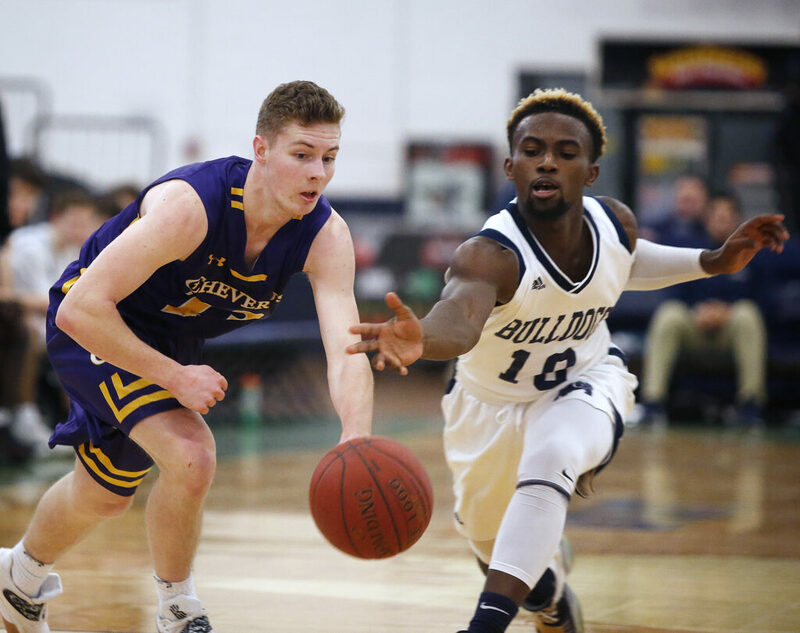 Burke took over from there, scoring on a leaner and a putback, then sinking two free throws to give Cheverus the lead for good, 49-48. After Patrick Foster made two more free throws for the Stags, Ballew hit a layup with 4.9 seconds left. After two foul shots from Matt Duchaine, Portland couldn’t get off a potential tying 3-pointer. Oryem finished with 16 points. 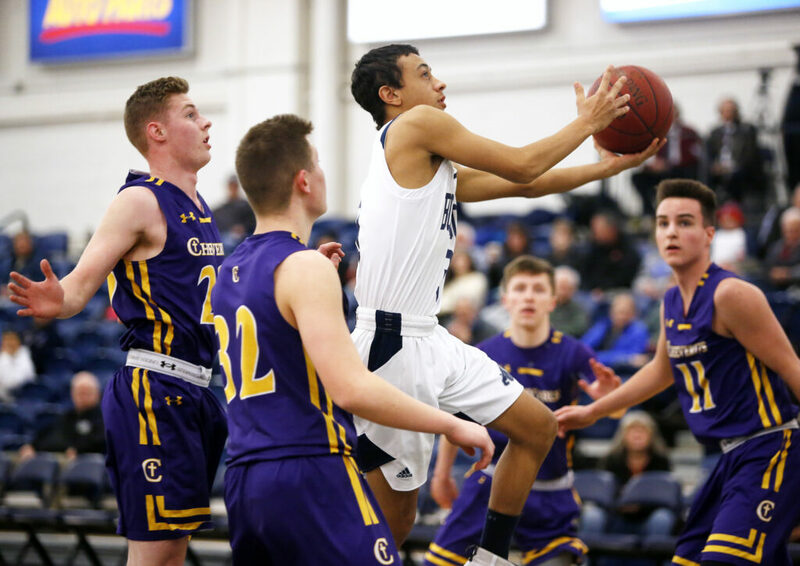 Galli added 13 points and 12 rebounds, Duchaine had 10 points, and Burke scored eight for the Stags, who made 18 of 20 foul shots. Portland got 15 points from Ballew and 13 from Alado, but fell to 9-7 with its third consecutive loss. 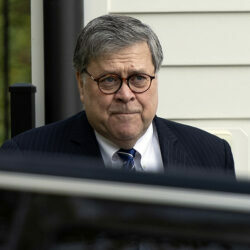 “Unfortunately, as of late, we’re learning how to lose, and usually, we know how to win,” said Bulldogs Coach Joe Russo.